Fentanyl has been making headlines, with drug use and abuse becoming topics of discussion amongst health-care providers, paramedics, and the police, but this potentially lethal drug is now affecting the general public. How can you be affected? When a patient has suffered some kind of painful trauma, it is not uncommon for them to be prescribed medication to help manage their pain. Fentanyl, like morphine and oxycodone, is an opioid, a class of drug that is prescribed for a variety of conditions and has incredibly powerful pain-relieving properties. After OxyContin (a stronger version of oxycodone) was pulled from the market, there was a window open for illegal drug sales. OxyContin was not only popular for people who became addicted as a result of over-prescription, it also appealed to heroin users. When production began booming on these illegal opioids, drug producers began importing more powerful ingredients from China, creating Fentanyl, a drug 50 to 100 times more powerful than morphine. Often, they would repackage the drug to their customers to make it look like OxyContin, leaving the user to either fatally overdose or become addicted to an even more powerful drug. This issue brings to light the concern around drug addiction, and how important awareness is around prescription pain relievers. A majority of prescription drug use doesn’t start out as a quest to get high; instead, people become addicted over time after being prescribed powerful medication. If you are prescribed a powerful medication, make sure to ask your doctor and pharmacist about the side effects and any addictive qualities, and ask for a minimal number of pills and strength to start. Also, ensure you take your medication as prescribed, at the correct time of day and the correct dosage. If you have kids or young adults living in your home, make sure your medication is safely stowed away. For those living with addictions, whether it is to prescription or street drugs, the ramifications in the workplace can be seen with absences, missed deadlines and erratic behaviour. Be mindful of changes in fellow staff members’ behaviours and offering support is the first step to getting them help. Another issue brought to the forefront is awareness around drug use amongst family members. Many parents of young adults who have overdosed or unknowingly took Fentanyl from a dealer had no knowledge of their son or daughter’s drug use. Certainly the challenges surrounding substance use are difficult for the individual as well as their familial supports, and often these supports need external help to cope. 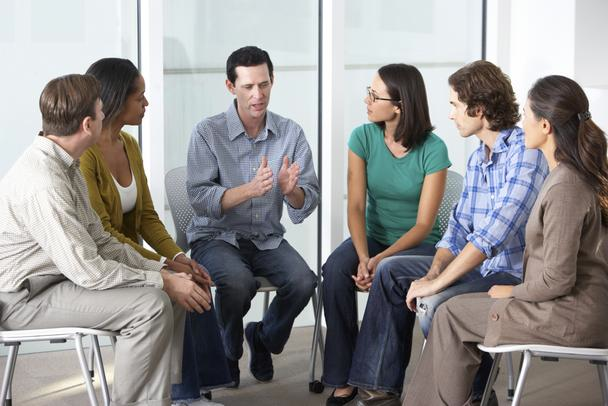 If you or someone you know is living with drug addiction, talk to your EAP provider. Young students can speak to their SAP, or Student Assistance Program, at their school for confidential resources. 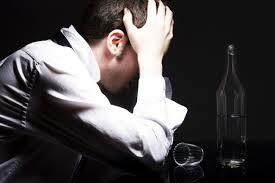 There is help available and professionals with whom to discuss the painful issue of addiction. You don’t have to do this alone. Categories: EAP, employee retention, Health and Wellness, Health Management, healthy workplace, Mental Health, Strategies, Uncategorized, Wellness, Workplace, workplace wellness | Tags: Absenteeism, action plan, addiction, Change, communication, drugs, EAP, Employee, Employee Assistance Program, Human resources, Wellness, Workplace wellness | Permalink. What Does Your Company’s Dress Code Say About Your Workplace Culture? A recent decision by Starbucks to allow its employees to wear any hair colour they like has sparked the dress code discussion again. Dress codes are not one-size-fits-all anymore; they really should reflect your company’s workplace culture just as Starbucks feels that this move balances the demands of employees with its brand and reputation. There was a time in the not-too-distant past that all I’d see in corporate offices were formally-dressed men and women, regardless of their positions or the type of company they worked for. This rigid corporate philosophy has now gone the way of the floppy disc. In fact, according to the 2016 Employee Benefit Survey from the International Foundation of Employee Benefit Plans, approximately 50% of workplaces have a business casual dress code in place, 22% of companies offer a casual dress code for the entire week, and 40% enforce a casual dress code on Fridays only. 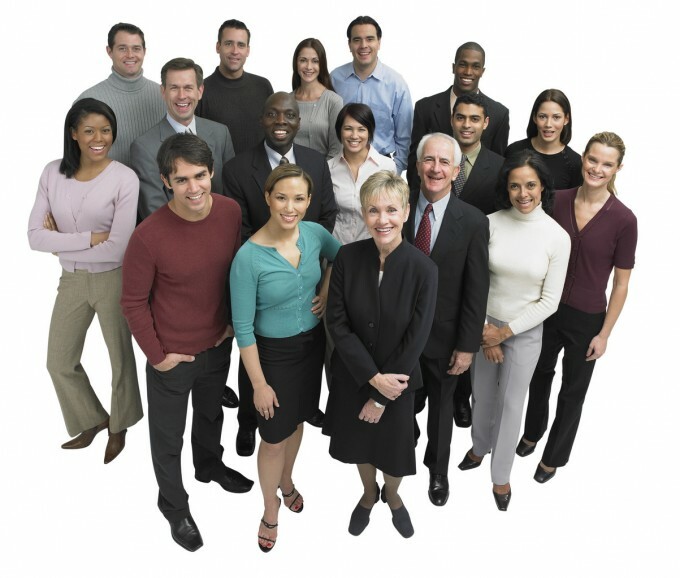 Does allowing more casual attire in the workplace increase or decrease productivity? I’ve read many studies on this issue and there is no clear-cut answer. There are those who believe that if employees are allowed to dress casually, they’ll be more comfortable and happier and therefore more productive. Others believe that casual clothing results in a casual work ethic and therefore employees will be less productive. One study sponsored by The Master’s College in California published the following conclusions: “There is an effect on… performance in the workplace because of casual dress… Casual dress has equally positive and negative effects, and… dress codes may or may not be necessary for professional performance.” In reality, there is no way to predict how a dress code will affect the performance of your employees. The nature of your business – financial institutions and law offices will typically have much more formal dress codes than web designer agencies where most coders dress like Mark Zuckerberg. Also, do you regularly see clients at your office? The answer to this question may determine what is appropriate office attire. Perhaps you consider two dress codes, an internal one for the office when you are not seeing clients and an external dress code when you are visiting clients. Ask for input from staff through a survey – Just as Starbucks changed their policy on hair colour to meet employee demands, I recommend that you consult with your employees when establishing a dress code, to consider their requests. Be clear what is not appropriate and indicate why – wearing flip-flops to the office (more appropriate for a beach), for example, may actually be a safety hazard. A trial basis of a new policy – to see the effects, positive or negative, consider a 3 to 6 week trial and ask for feedback through another survey. Checking in with your staff can make them feel heard and appreciated. What do you think your company’s dress code says about your workplace culture? Would you consider changing it? Categories: employee retention, Job Performance, Strategies, Uncategorized, workplace culture | Tags: action plan, Change, communication, EAP, Employee, Human resources, Productivity, Workplace, Workplace wellness | Permalink. In the challenging busyness of our everyday life, workplace stresses and deadlines, caregiving to children and elderly parents, finances, and relationships, all can become an overwhelming experience. Remaining positive and still being able to offer your guidance at home to our loved ones and to our employees at work, can become a burden. Knowing where to turn for help is a large part of accessing help, but when our emotions are maxed, we don’t always remember what resources are available, their value to us, and how easily they can be accessed. This is exactly why EAP services are so essential for the wellbeing of your business and your employees to make it run effectively, and it underscores the importance of “spreading the word”. As you may know, three of the biggest issues facing businesses today are employee retention, absenteeism, and loyalty. If your employees are struggling with personal issues and work issues, it only makes sense that they might be distracted from their work and, as a result, be less productive. It is often the case that these issues could sometimes be prevented, and utilizing an effective EAP can make your employees feel more supported, and give them the help and tools they need to improve their personal and professional lives to reduce these issues in the workplace. Despite the fact that there are so many obvious benefits to having an EAP in your workplace, why are these programs still so underused or not even used at all? About 80% of Canadian employers have an EAP, but only 8% of employees actually make use of these services! Our employees don’t think an EAP is entirely confidential. They don’t see EAPs as a preventative resource, just one to access in need. Our employees think their EAP only offers psychological support. They don’t even know it exists! Access to your EAP is 100% confidential. As an organization, it’s important to communicate this to employees. An EAP cannot confirm nor deny an employee’s participation in the EAP without written consent from the employee(within legal limitations). Break the stigma in your organization! Reassure employees that no one is immune to experiencing personal issues on and off the job, and that seeking assistance before issues become unmanageable is beneficial to them personally and professionally. Reiterate to your employees that their EAP is so much more than counselling – it also provides coaching, legal, financial, nutritional services, and management support at no cost to them. .
Make your EAP provider’s phone number available, and let your employees know that all they need to do is make the call 24/7. Ensure employees are aware of the full range of services available to them, using any and all communication channels. There is a direct correlation between the promotion of your EAP and the utilization of your EAP. Make EAP education a part of your employee onboarding and training process. Don’t let employee wellness and productivity suffer when help is readily available. Education and communication are the best ways to encourage employee use of your EAP and overcome any stigma attached to it. As your employees start to understand that your EAP is a completely confidential service to help them deal with life’s challenges before they become too much to handle, awareness and acceptance will increase, and trust and comfort will be engendered. The use of your EAP will rise, in turn increasing employee wellness and productivity. Are employees in your organization encouraged to reach out for help, even before issues become difficult to manage? What tools does your organization have in place that can be used to communicate EAP benefits? What other ways of communicating the EAP to employees can you suggest for an organization? Categories: EAP, Employee Absences, employee retention, healthy workplace, Strategies, Wellness | Tags: Absenteeism, action plan, Business, collaboration, commitment, EAP, Emotional Wellbeing | Permalink. As business owners and managers of people, we are responsible for the safety and security of our employees, enabling them to become as productive as possible. But no matter how much we think we are prepared to manage our workday in a safe environment, no organization is immune to a critical incident. How can you possibly prepare for the unpredictable, no matter how prepared we think we are for such a sudden disruption? And what if that critical incident involves one of your key personnel? How will this affect the management of your organization? You may or may not know that help is available through your Employee Assistance Program (EAP) or Student Assistance Program (SAP). As the owner of a company focused on providing health solutions that empower organizations and their people, I have years of expertise dealing with employers in organizational crisis situations. Below I have outlined a few case studies that showcase the breadth and depth of crisis intervention available for organizations to demonstrate the value of implementing a plan to prepare for the unpredictable. One such incident involved a fire truck, which was en route to an emergency during whiteout conditions when a car crashed into the fire engine. The driver of the car was taken to hospital. The EAP was contacted by the organization, who immediately assessed the incident and rapidly dispatched their trauma team to the site of the tragic accident. Telephone consultation with management was immediately provided. Onsite debriefing intervention was quickly provided for staff that were on the truck at the time of the incident and for others who were indirectly involved (such as the dispatch personnel). Onsite debriefing was given to the fire department staff as a group as well. Recently, at a post-secondary educational institution, a student was found deceased in their dorm room by their roommate. This traumatic event was one where the school contacted the trauma response service through their SAP. An immediate consultation was provided to student leadership reps and onsite trauma interventions were arranged over a period of 3 days to support students and staff with group and individual debriefings. Counselling services were also extended to the family of the deceased as well. Another crisis situation where an organization benefited from their EAP’s trauma response program occurred when an employee’s son (known to employees of the company) jumped off a bridge to his death. When the trauma service was contacted, immediate consultation and follow-up was provided to management and an onsite debriefing was given to staff as a group and individually to staff members. The Clinical Response Centre was available to all employees of the organization for ongoing 24/7 support and extensive counselling was additionally provided to the employee, the employee’s spouse, and employee’s daughter. When crisis strikes your organization, rest assured that there is help. Make sure you are prepared with a plan that accesses specialized defusing/debriefing interventions to provide support through all stages of a traumatic event. It is almost like an insurance policy – you never know when you may need it. Categories: EAP, Health and Wellness, SAP | Tags: action plan, EAP, Employee, Employee Assistance Program, health solutions, mental health crisis | Permalink. As Rob Ford weathers the storm of his alleged substance abuse problem, there needs to be something we can learn from his experience other than to choose the people you surround yourself with wisely. The Toronto mayor is certainly not the only person whose drinking habits have been called to attention in the workplace. As alcohol abuse becomes one of the greatest health threats to Canadians in recent years, employers must prepare themselves to engage in dialogue about this disease and become familiar with signs that an employee might be suffering. Technically, drinking habits may be the personal business of your employees, but once a substance dependence problem emerges, it will inevitably affect business. Absenteeism, on-the-job injury and accidents, missed deadlines and poor workplace conduct are only a few of the detrimental outcomes of alcoholism, and the employer has a responsibility to address it as an issue once productivity is compromised. Maintaining the welfare of your company and your employee’s health as main priorities is good business, and there are strategies you can implement in your company to help you, the employer, mitigate the costs of substance abuse. 1. Ensure that you have clearly communicated your expectations for conduct and performance in the workplace. Only with these expectations in place can you effectively measure when employees are failing to meet company standards. Schedule regular feedback and review meetings to promote a culture of improvement and transparency with individual employees. Having frequent dialogue will make it easier to broach any changes or declines in performance you may observe. Learn to recognize changes in performance, attendance and work relationships. Alcohol dependence can affect an employee’s ability to carry out commitments, meet deadlines and maintain healthy relationships at work. Knowing your employees well will help you more easily identify changes in their performance that could be brought on by substance abuse. Keep thorough records of observations. Ensure that you make note of incidents as they occur so that you are able to better record trends and patterns that support your concerns. Contact a representative of your EAP for support. A consultation with the EAP will help you initiate difficult conversations and make available various resources. Be prepared to address the issue with your employee. Compare what you are currently observing with the employee’s performance against what the job expectations are. Set a measurable action plan with the employee that articulates the corrective action required to improve the work performance and include a time frame for the desired outcomes to be achieved. Encourage the employee to access the EAP for support in executing the plan. Be clear that failure to change the performance or conduct and seek help could result in disciplinary measures or dismissal. Have the employee sign off on the document. Continue follow-up with additional conversations as necessary, including meeting with the employee on the formal review date (as set out in #7 above). Although it might be uncomfortable to address such a sensitive issue with an employee, having a list of resources available (EAP) beforehand will assist you with offering support. Have you ever seen the benefits of someone seeking help and returning to the workplace? I look forward to hearing about your experiences in the comments below. Categories: EAP, Job Performance, Mental Health, Wellness, Workplace | Tags: Absenteeism, action plan, addiction, Alcoholism, enabling, resources, substance abuse, Workplace | Permalink.